It was a beautiful day on Mount Spokane where winters cold grasp begins to loosen into the gentleness of spring. Mt Spokane partnered with Veterans Community Response to bring smiles and goggle tans to 43 local veterans and their families. The days theme was people helping people; seen through first timers on the bunny hill working with the ski/board instructors and new friendships crystallized in the cold lines of the groomers. The vast terrain offered those willing to explore hidden powder stashes splashed with sunshine. Mount Spokane's management, the employees in the lodge, ski patrol, the amazing ski & snowboard instructors were all professional and friendly throughout the day. 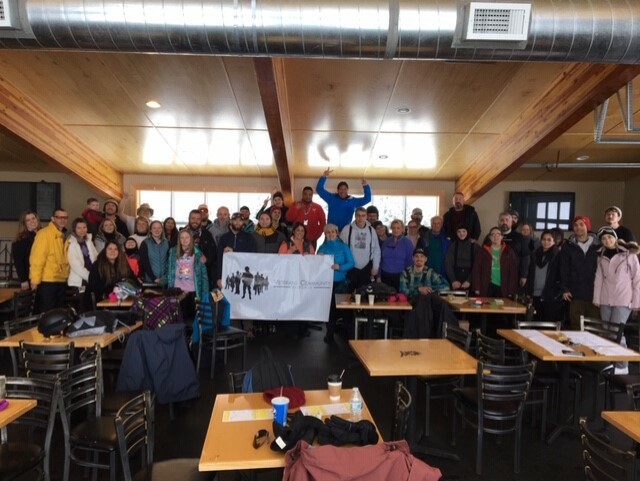 A big thank you from Veteran's Community Response and local veterans to Mount Spokane ski and snowboard park! We are looking forward to making turns and continuing to build our community next year.